These terms and conditions apply to every offer of Wasted Penguinz Shop and any agreement reached at a distance between Wasted Penguinz Shop and consumers. Wasted Penguinz Shop accepts orders by entering your order on the website. When completed incomplete or unclear orders we reserve the right not to deliver. Orders are processed in order of receipt and delivered as long as stocks last. 2. 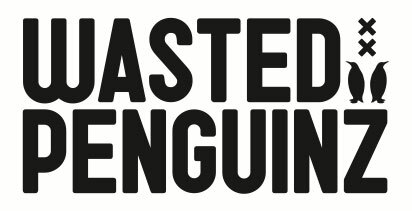 Wasted Penguinz reserves the right to refuse an order or to impose order on terms. 4. No every completed order follows a confirmation email to the email address provided by the consumer. Wasted Penguinz Shop is not responsible for the proper receipt. 5. Wasted Penguinz Shop is not liable for any maintenance or abnormalities in the stock. If the ordered item is unfortunately no longer in stock even though it was indicated on the site as available Wasted Penguinz Shop will inform their consumer and make him or her an alternative offer. The mode of transport for delivery shall be determined solely by Wasted Penguinz Shop. Consumers can indeed choose from for receiving options. 2. Wasted Penguinz Shop consumers will notify the shipping order on invoice for payment. 3. Wasted Penguinz Shop seeks the consumers to submit a transport offer as favorable as possible on the basis of a combination of the lowest price and acceptable delivery period. 4. Wasted Penguinz Shop can not be held accountable for late deliveries, however, will endeavor to make orders in accordance with market supply. 6. Wasted Penguinz Shop is not liable for errors in addresses or for the incompleteness thereof. If orders are returned, by errors in address or an awkward issue for conveyor then Wasted Penguinz Shop reserves the right for consumers to spend extra for a renewed transport costs. Consumers have a cooling off period of 14 calendar days, commencing on the day following receipt of the order. 8. “normal” exchange will Wasted Penguinz Shop not automatically responsible for the cost of re-sending of the desired article. ALL our invoices are payable in order to receive payment is not among the possibilities. 5. If necessary. refunds of returns shall be made within normal time and in the same account from which the consumer has paid to Wasted Penguinz Shop. 6. If you wish to pay in a different way than in principle specified by you, you can log into your account and behind your bills ‘pay’ to the button choose a pay version. 1. Wasted Penguinz Shop is not responsible for cases of accident or force majeure. In these cases, the mutual obligations are suspended.